Football is a sport that brings people and brands from all walks of life together. South Africa is awakening to a basic truth: football players are real people, with real emotions, real dreams and real desires. In the past, players were often only seen for their talents and skills on the pitch with no opportunity to groom their personal and mental health. The development of football in South Africa has grown tremendously with many brands backing football teams and creating football tournaments that give opportunity to churn out more football stars. Even with these great steps towards development, there’s still a missing gap to foster the conversation of personal growth in football players. How do we develop more football stars and still ensure that the current talent is sustained? By dedicating the right resources to provide emotional support, mentoring and guidance to ensure that a footballer is developed holistically. It’s not just about talent on the pitch, it’s also about the stability of the players off-pitch. In the end, the objective is to maximise the players potential thereby improving the overall performance of these budding football stars from a young age. Shield plans to uplift and develop young people through the great game of football. It has been helping young footballers reach their dreams through the Shield Sbonis’ iDiski campaign. This is geared at empowering young South African football talent through grassroots development and skills training. The football challenge is putting modern masculinity to the test by not only providing these young men with football skills, they also hold coaching clinics that cover the young entrants’ ambitions, physical and mental well-being. The challenge kicked off in 2017 and has had a major positive impact in many young football enthusiasts by improving their physical skills. It offers young South Africans a chance to participate in countrywide trials conducted by the Chelsea coaching staff and the top three winners get an opportunity to visit the UK at the Chelsea training camp. One lucky winner then receives an opportunity to train with Orlando Pirates for a one-year contact. 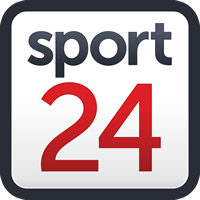 The industry is saturated with many football tournaments hoping to discover and grow young talent in South Africa. It’s imperative for the government, private sectors and governing bodies to create spaces where these football tournaments also include sports psychologists and financial advisors to cater for the rising football enthusiasts’ emotional, mental and financial health. What sets this challenge apart from most football tournaments is Shield’s ability to engage communities and ensure that these football players needs are attended to holistically. It does not only provide materialistic resources such as football gear and boots but further equips these budding talents with international skills and training. The Shield challenge adds on a pool of skilled football stars to the industry through it’s now improved coaching clinics that go within communities to train more coaches. Through this Shield hopes to challenge the notion of masculinity to show that young men can look after themselves while participating in active sports such as football. Year three of the Shield Sbonis’ iDiski campaign launches in March 2019 ready to discover more talent with its new international partnerships adding Manchester City FC and La Liga to the continued partnerships with Chelsea FC and Orlando Pirates. We are excited for the opportunity to grow the campaign, reaching more communities and aspiring footballers with a national footprint this year. Football Matchday Live - Join Us! UCL and Europa Draw Live - join us! Herman Mostert outlines his wishes for South African rugby enthusiasts in the 2019 season.